Please contact me for information about my current fee schedule. I see families as a group and individually. It is important that the fee is not prohibitive, so fees may be adjusted according to your ability to pay. Fees are payable at the beginning of each session. 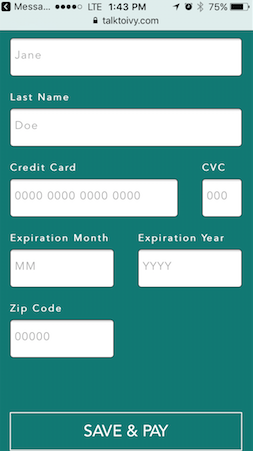 Credit card payment is available online via the PayPal buttons provided below. Phone sessions are also available. Clients sometimes like to come once a week, circumstances may call for more in the beginning, or you may wish to come less frequently. How often you come is up to you. Schedule can be discussed when we meet and adjusted as needed. As a mental health professional, my services are covered by most insurance that include out-of-network, outpatient psychotherapy. I will provide you with a bill to submit for reimbursement. It is your responsibility to find out the information from your insurance company and submit your claim. In order to avoid having to pay for a missed session, 24 hour advanced notice is required if you are unable to keep your appointment. 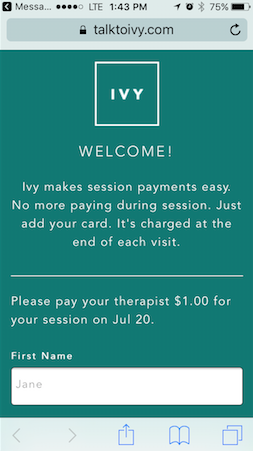 Ivy Pay is a HIPAA-secure, PCI-protected payment service that allows you to pay your therapist by saving a credit, debit, HSA or FSA card on-file. 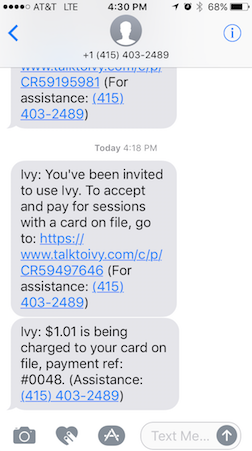 Once you’ve added your card to Ivy Pay once, charges can be quickly and easily processed. 3. 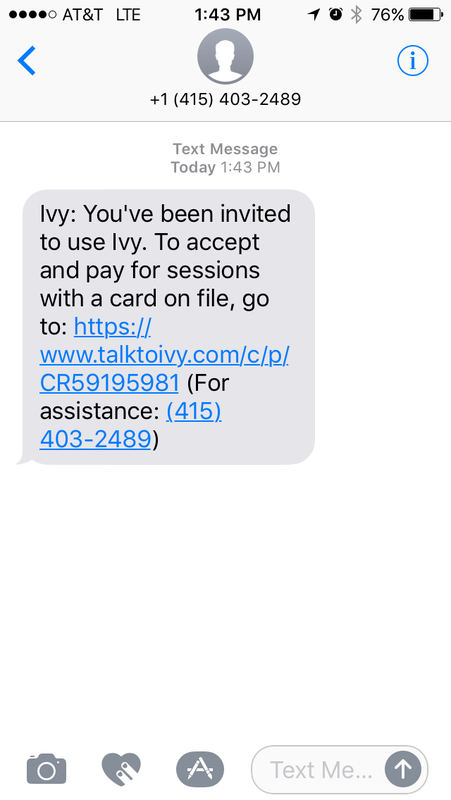 Scroll down on the ‘Add Card’ form, add your card details, and tap ‘Save & Pay.’ Your card will be encrypted and stored on our secure servers, and will be charged for that day’s session.